Another photograph illustrating Llanhilleth’s quoiting heritage. 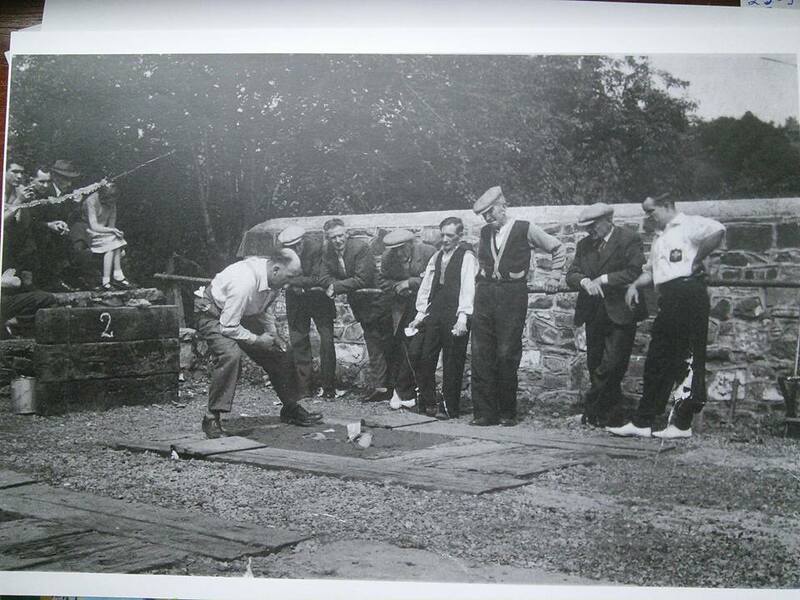 We’re not sure of the date but the photograph illustrates the concentration during a game at the Park. Right to Left: Alfie Parker (Wales international player and Champion) – Unknown – Bill Caldwell – Billy Vaughn – Percy Prosser. There are other Quoit related items in the Archive.